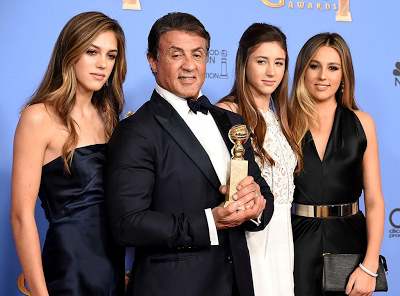 Sophia, Sistine and Scarlet, the daughters of Hollywood actor, Sylvester Stallone have all been named as the Miss Golden Globe 2017. The announcement was made on Thursday by The Hollywood Foreign Press Association ahead of the 74th Annual Golden Globe Awards show. The role of the Miss Golden Globe involves assisting presenters with handing out statuettes to the winners of the different categories during the award show and is traditionally bestowed on the child of a well respected actor or actress.